Online (Fast Lane) check-in is now mandatory for the Seacoast United Coastal Summer Challenge. 1. Current State-approved roster. Cross out any players not attending the Seacoast United Coastal Summer Challenge. You may write in guest players at the bottom of your approved roster and provide proof of age and insurance from a state entity or US Soccer. See below concerning guest players. 2. A copy of each US Youth Soccer Player Pass or each US Club Player Pass, or Passport if your team is international (ONLY the front side that shows photo and date of birth must be copied). If the player pass is "two-sided", we need the side with the player's name and birth date. Guest players must provide this documentation as well. You must include coach's cards and manager's cards in this document. 3. USYS Teams outside of Region I: A copy of the Permission to Travel form if your team is USYS registered and is from Region I or if your team is registered with US Club Soccer team a permission to travel form is not needed. 3. 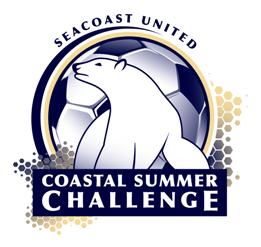 Complete the Seacoast United Coastal Summer Challenge Medical Release for each player on your team. The form must be completed and hand signed by a parent or legal guardian. No forms other than the official Seacoast United Nate Hardy Memorial Day Tournament medical release will be accepted. Electronic signatures cannot be accepted. Questions? Please contact Jim Wade at jwade@seacoastunited.com.